Welcome to Wyandotte Daily! – Page 5232 – Serving Kansas City (Wyandotte County) Kansas for over 45 years! 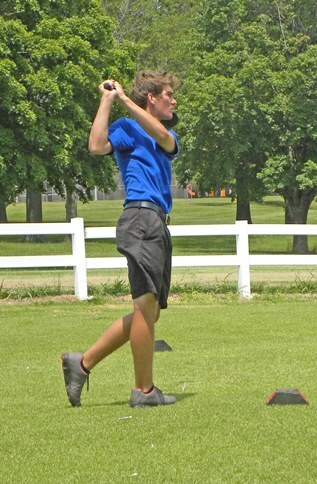 Youth was served in the 2014 Sunflower Hills Club Championship Saturday. 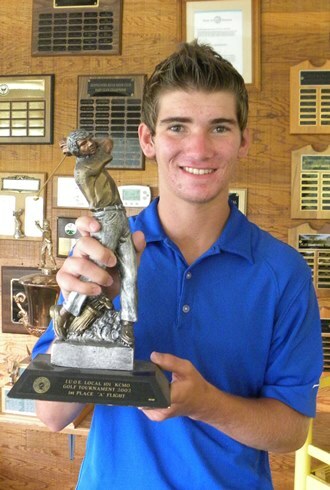 At age 17, Marc McClain became the youngest club champion in history with a one-over par 73. McClain is a May graduate of Bonner Springs High School. The club championship came on the heels of McClain’s winning the Kansas Class 4A state championship, a title won by three strokes with a 3-under 69 at Firekeeper Golf Course in Marietta. McClain will continue his golf career this fall at Kansas City Kansas Community College as one of several top prospects recruited by coach Gary Shrader. McClain’s 73 was two shots better than another youngster, Tristan Abts, 19, and a 2013 graduate of Bonner Springs, and veteran Jerry Reid, a former Wyandotte County senior champion. Two came on the first two holes as McClain came out blazing with back-to-back birdies, running in his longest putt of the day, a 50-footer on No. 1 and then two-putting No. 2 after reaching the 476-yard par 5 with a drive and 8-iron. However, bogeys at Nos. 3, 6 and 8 dropped him to one over at the turn before rebounding with birdies at Nos. 10 and 12. After the day’s longest drive on No. 10, McClain’s lob wedge hit the flag and stopped within three feet on No. 10 and a pitching wedge to within 15 feet on 12 produced the birdies. A double bogey on No. 14 and bogey on the difficult 15th ended McClain’s hopes of a sub-par round but he finished the final three holes one under, birdieing the par 5 17th by chipping to within three feet. A natural righthander, McClain swings lefthanded, something he picked up at an early age. “My dad is lefthanded and when I was about 2 I started swinging his clubs and my parents thought I swung pretty good so I’ve stayed with it,” said McClain. By age 6, he was playing competitively and at 15, he fired a 5-under par 65 in the annual Vinzant-Cosnotti tourney at Overland Park while finishing second to an 18-year-old in the 54-hole tournament. The son of Marc and Amy McClain, his older sister, Cassie, followed him on his title trail. Championship flight – 1. Marc McClain, 73; 2. (tie) Tristan Abts, Jerry Reid, 75; 4. Bob Chatterton, 76. A – 1 Mike McNellis, 80; 2. (tie) Dave Hunt, Todd Milberger, 81; 4. Bretty Ricky, 82. B – 1. Rick Richardson, 78; 2. (tie) Roger DeLong, Steve Sirridge, 80; 4. Moe Ryan, Charlie Sirridge, 82. C – 1. Greg Loethen, 82; 2. Mike Tobin, 86. 3. (tie) Phil Hoffman, Dave VanDerwell, 87. D – 1. Bill Pratt, 92; 2. Ted McClellan, 95; 3. Dan Schmidt, 99; 4. Tim Allen, 100. Closest to hole No. 4, Moe Ryan; Longest putt No. 9, Dan Schmidt; Longest Drive, No. 10, Marc McClain. 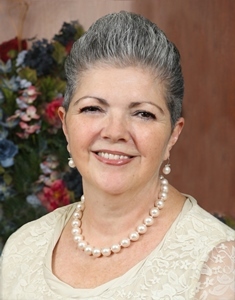 Swope Health Services recently added Cielo Fernandez-Ortega to its board of directors. Ms. Fernandez-Ortega currently serves as the chief program officer at El Centro, Inc., where she develops services that meet the needs of the Hispanic community such as health literacy, financial empowerment and preschool education. Ortega has served on the boards of the Mother and Child Health Coalition, the Mexican American Women’s National Association of Kansas City and the Coalition of Hispanic Women Against Cancer.